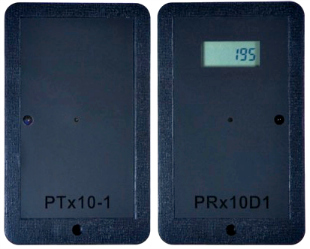 One of the most cost effective people counting systems available, this reliable, user-friendly and affordable system consists of an easy to install transmitter and receiver. The transmitter unit transmits 2 infrared beams to the receiver unit. When someone passes between the 2 units and breaks the infrared beams, the count value increases by one. This counter is direction sensitive, and users can choose which count direction is displayed on the screen. The simple end-user installation and maintenance of our systems eliminates technical support costs. Wireless and battery powered.